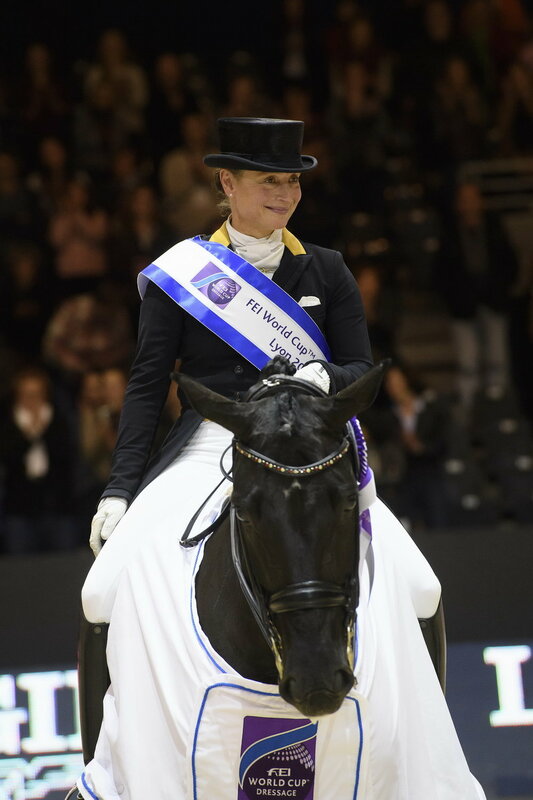 Germany’s Isabell Werth and Weihegold Old are now top of the world Dressage rankings thanks to their win at last week’s FEI World Cup™ Dressage in Lyon, where Werth produced a personal-best Freestyle score of 90.09. The 47-year-old athlete and her 11-year-old mare, who won team gold and individual silver at the Rio 2016 Olympic Games, now top the world Dressage rankings with 2869 points, ahead of Germany's Kristina Bröring-Sprehe and her 15-year-old Hannoverian stallion Desperados FRH (2813 points) who had held the lead since February this year. The FEI World Cup™ Dressage 2016/2017 series, which is now heading to the third qualifier in Stuttgart on 18-19 November, is certainly making its mark in the world Dressage rankings. Great Britain’s Carl Hester and Nip Tuck, who placed second at the FEI World Cup™ Dressage in Lyon last week, have now jumped into fifth (2448 points) behind fourth-placed American Laura Graves and Verdades (2462 points), and Dorothee Schneider (GER) and Showtime FRH (2679 points) in third. Spain’s Severo Jesus Jurado Lopez and Lorenzo, who won the opening leg of the FEI World Cup™ Dressage series in Odense just two weeks ago, has also jumped four places into the top ten (2355 points). View the full FEI World Dressage Rankings here.